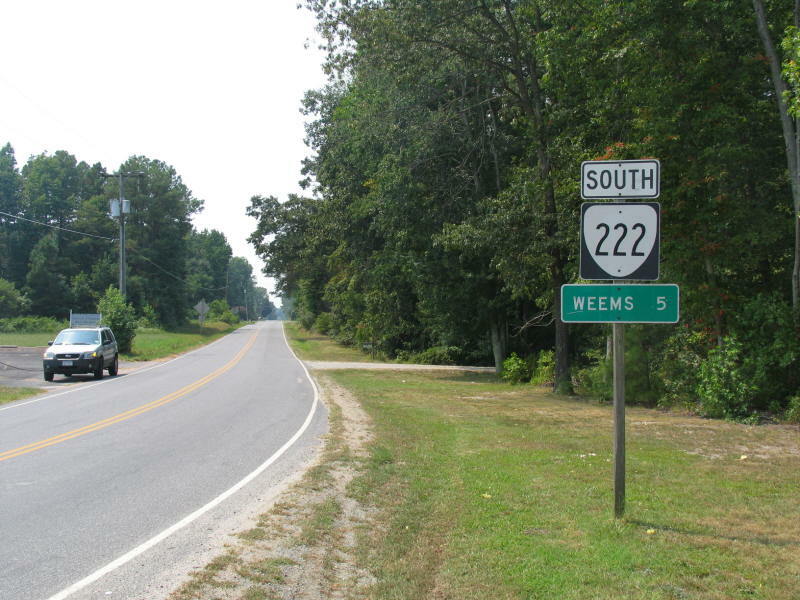 This series of photos shows the south end of VA 222 in Weems. 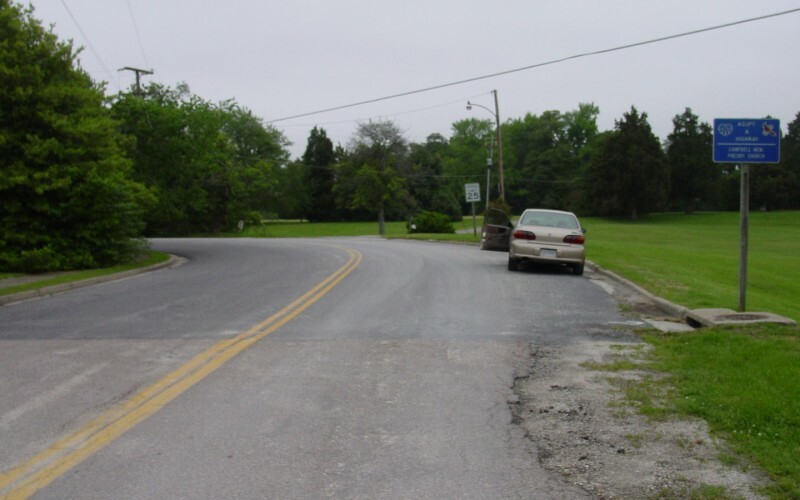 The road ends near the edge of the Rappahannock River, serving as a private driveway at the end. Photos by Adam Froehlig, taken May 17, 2003. 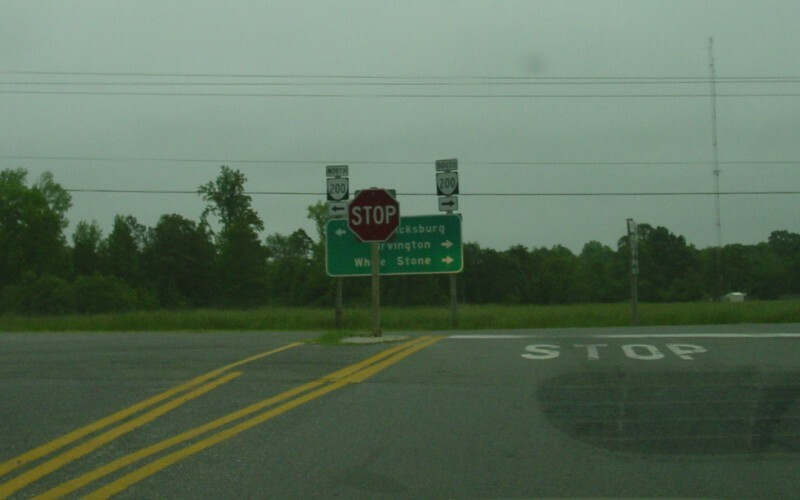 Northbound on VA 200 at the turnoff to VA 222. 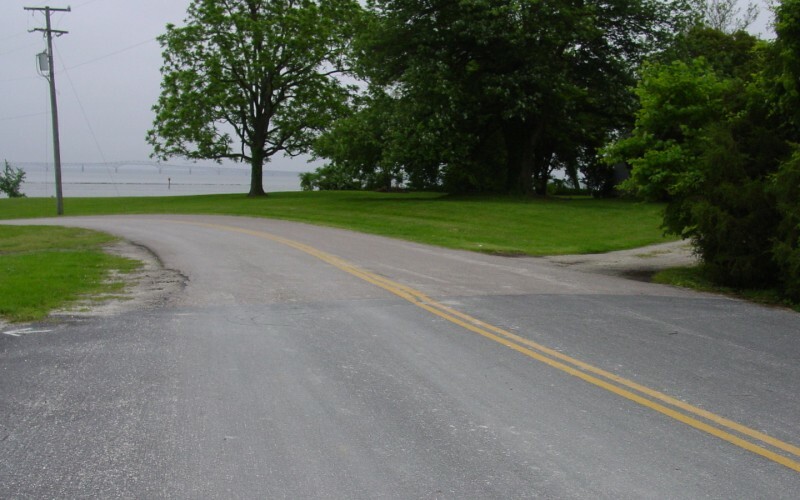 Photo by Adam Froehlig, taken May 17, 2003. The view from VA 222. 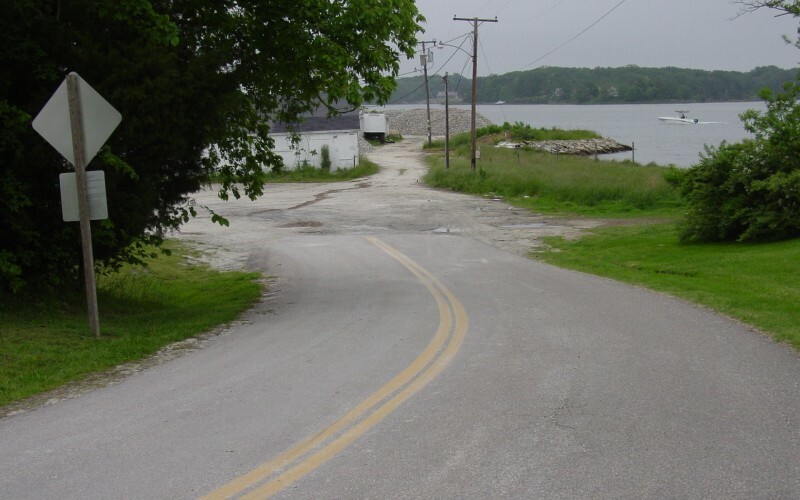 Photo by Adam Froehlig, taken May 17, 2003. 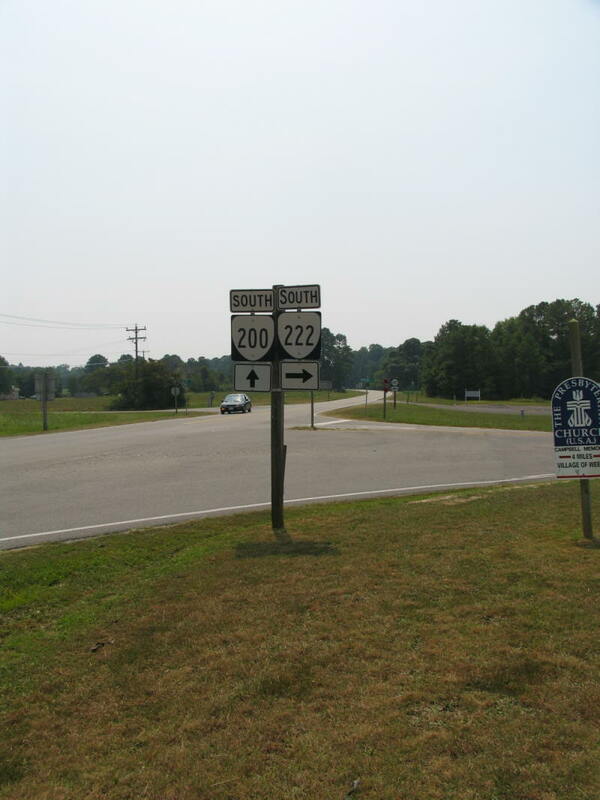 The view starting down VA 222. Photo by Adam Prince, taken August 26, 2006. 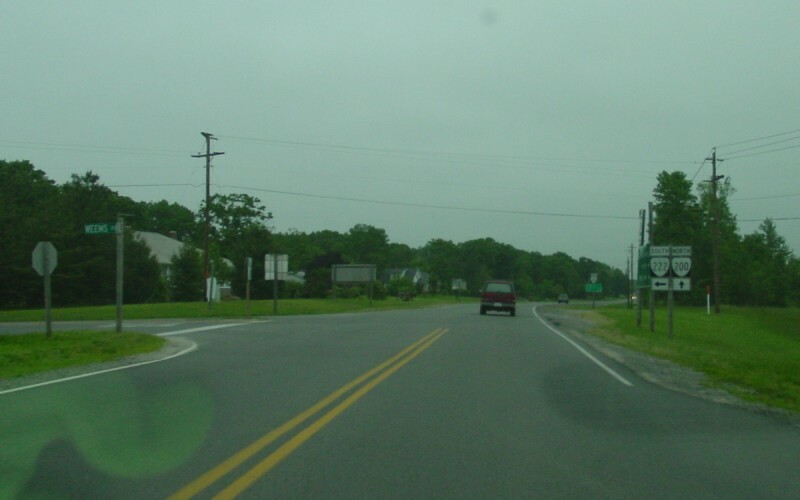 The view from VA 200 southbound. Photo by Adam Prince, taken August 26, 2006.